Gallagher Command Centre version 8 has been released. on the item to reveal the information required and is able to perform the action required — the operator need not leave the screen. Information is displayed in real-time, allowing quick and accurate response to security threats, and ensuring operational continuity and site safety. The improved user experience minimizes operator error, reducing risk on site. The intuitive interface reduces operator training/induction time. The Site Plan Designer allows quick and easy creation of a visual representation of the customer’s site for security operations (particularly control rooms) managing their security needs. Time spent configuring and setting up systems can be a sizable expense for channel partners where quite often the physical hardware installation is the primary focus. 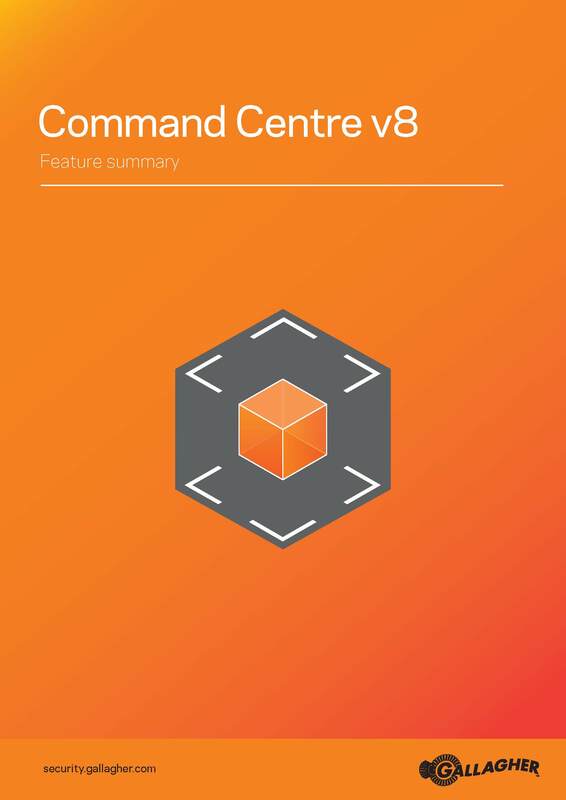 Command Centre site plans are quicker to configure, easier to create and maintain, and more intuitive leading to less training time and reduced costs. Communicate important information efficiently with Cardholders especially in emergency situations ensuring staff, students, and contractors are well informed of security and safety situations. The Status REST API provides a set of HTTP functions to query the status of items within Command Centre, allowing developers to integrate multiple systems with Command Centre. It adds to Command Centre’s integration flexibility and inter-operability with other systems. Please contact our office on 1300 867 797 if you would like to discuss any of the above features and an upgrade to your site.